As there is obviously no text limitation I will just keep the old description (below the line) which was written almost 4 years ago. Now things have gone forward. The boat is actually floating since summer 2014 and we have been sailing twice on the Baltic sea with it. Between April and October we are part-time living on the boat with four people on the rivers and waterways of Berlin. See our youtube video below to see when the boat reached the water. The video was made by Attila and Jesus, two helpers that came first in 2012. Jesus came from Spain and found a job in the region were we build the boat and is still living there till now. Attila came back from Hungary in 2014 when we assembled the boat and drove it to Berlin were I am working most of the year. A lot of contacts came out of the whole story of about 50 helpers coming from 18 different countries to the barn. But the story also did not end with the moment when the boat arrived on the water. People continued writing and we continued working on the boat. There was a time-laps link, the video editors threw out, showing the work when we extended the boat from 11.4 to 12.5m length and modified the rudder-system while the boat was floating on a lake around Berlin. As we had only the four cabins on the catamaran we were only hosting a maximum of 2 helpers in 2015. Now I am writing this update as we are looking for more helpers from spring 2017 on. 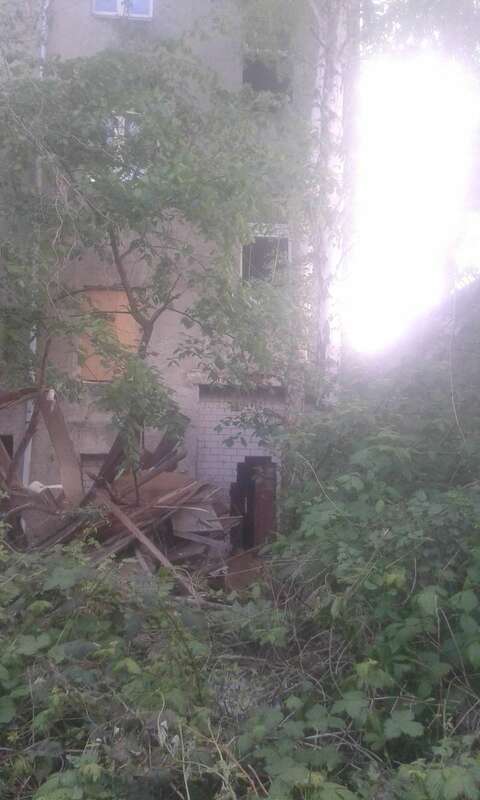 Together with some friends we bought a ruin/house in Berlin close to station Ostkreuz in Friedrichshain / Lichtenberg. The house was built in 1893. Luckily it survived the war and became property of the German Democatric Republic as its former owner moved to West Germany. After the wall came down the house was returned to the son of the former owner who left it unused for 27 years until we found the house. Fascinated by the history and the fact that since the early nineties some squatting skinheads sprayed their graffiti nobody has changed anything we started working together. 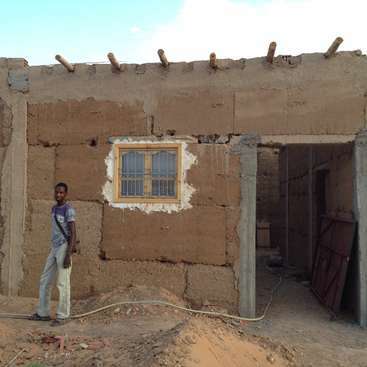 We already finished a kitchen and a bathroom with hot shower and a solar light network in the house to start having a good living comfort for us and the helpers that start moving in the house. As there are six rooms in the house that were still in good shape, we cleaned them, repaired the broken windows and brought a lot of beds and couches from friends to start living there. Additional to the three permanent residents (Arne, a carpenter and Christopher, a neuroscientist and long term helper and Dominic, who just came to stay with us a short time ago) we keep on inviting helpers. The maximum till now was 6 at once which was a funny time with a lot of live in the house and on the boat that floats in a walking distance on anchor. For the next months it is planned to continue with a lot of tasks on the house and some projects on the boat. It has its place now in Moabit. We are still looking for motivated Pirates that like living on the water or in a ruin with continuously increasing comfort as well as getting something done during the day. So if you are interested to travel to Berlin or just to escape from the normal Berlin city-life please write with some buffer time until you would like to come. Sometimes it takes a week or two until I check the account but I will always answer. We're building a boat in a barn in north Germany and are looking for help. We means about 30 helpers since may 2011 from the USA, Canada, France, Argentina, Israel, Iran, Korea, England, Spain, Brazil, Venezuela, Hungary, Austria, some friends from the neighborhood who come around to help for a couple of hours and me. In Schoeppenstedt between Braunschweig and Berlin in the Niedersachsen-Region lies the former farm of my grandparents. Today the farmhouse is rent to a family and most of the other buildings are unused. During the last years I started to use them for various projects like building a raft/houseboat, a handcar, a two person diving bell and a small sailing Trimaran. 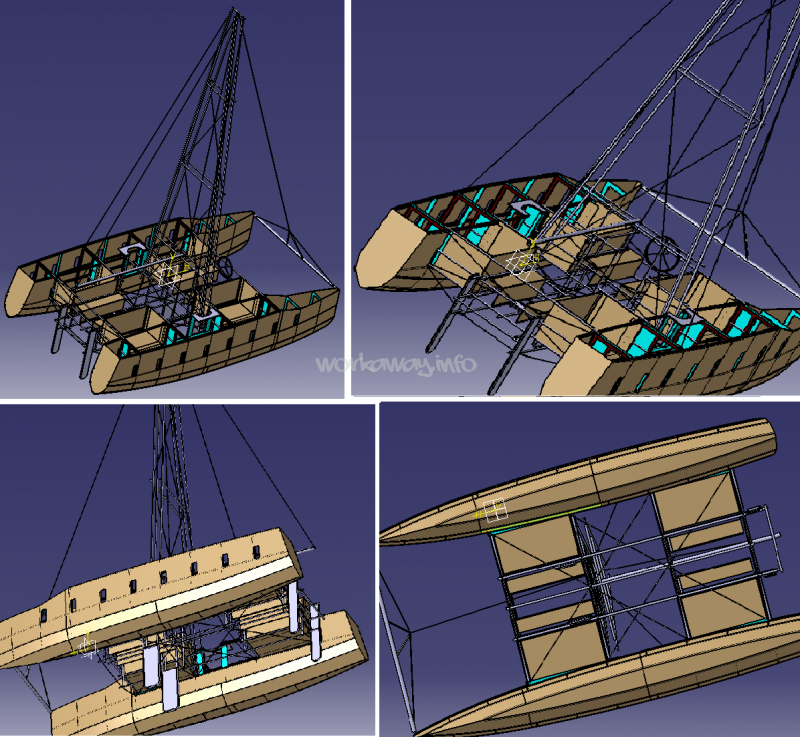 The biggest project is to build a wooden 11,4 m Catamaran. Since 2008 this plan has constantly evolved and is now about 80% through the process of realization. While I was terminating my studies as an engineer I had the possibility to work on the construction as an university-task. Thereby I received all the relevant engineer standards and learned a lot about the recommended practices to build a safe boat. The project has evolved during the last year. Now there are the two Hulls with the right side up in the barn and would float if the deluge would come. 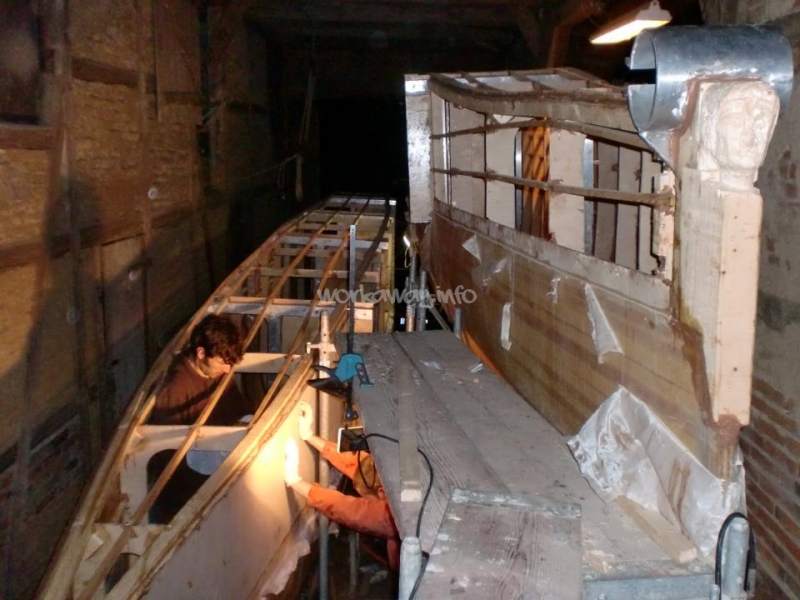 During this summer we glued all the plywood-parts to the Hull that we prepared last year before the winter-break. To work with Epoxy (the glue) it needs to be at least 15°C and there is no heating in the workshop. That is why the next winter-break is getting closer. About the help needed in the house: look at the pictures and imagine the rest. It is enough work for at least two years. Till now we have removed most of the rubbish and debris that we found in and around the house which was unused since the wall came down almost 30 years ago. We started to build the new infrastructure for water, electricity and heating to prepare the building for coming winter. Structurally the most has to be done in the fourth floor and the attic were we are removing the floors and ceilings that are broken from at least two decades of water dripping through the leaky roof. If everything works out as were planning we will finish windows and the heating in the lower stories before the winter so that it will be possible continue the work on the higher floors during the cold season while living in the house and accommodating helpers. To get an idea why we think it is a good idea to build most of the things on our own it is necessary to mention that the group of six people that bought the house consists of a group of people that like doing these things: Michael and Ralf, two masons and buildings restaurateurs, Ina studying restoration and conservation of wood, Ruven who is taking care about the finances as economist while being a good carpenter, Christoph as engineer for regenerative building-energy systems and me as engineer for environmental technology and wastewater treatment looking forward to install an in-house water recycling system. That’s why we will do a lot of the required works together with you as helpers. Don’t be afraid that you will have to do things without support or a proper explanation. According to your wishes and currently executed projects you can also choose which crafts you want to learn more about. As the building is relatively big there are a lot of work steps repeatable so that it is for sure worth explaining you a little more complicated steps when you come without previous knowledge about them. We are already six friends that bought the house together with till know two people that started living in the house. So there will be always people coming around to hang out and work a bit. Cooking and shopping will be always involved as we are aiming of having 3-5 helpers at once to become the next helper community. Meanwhile there are also always some smaller construction sides on the boat. 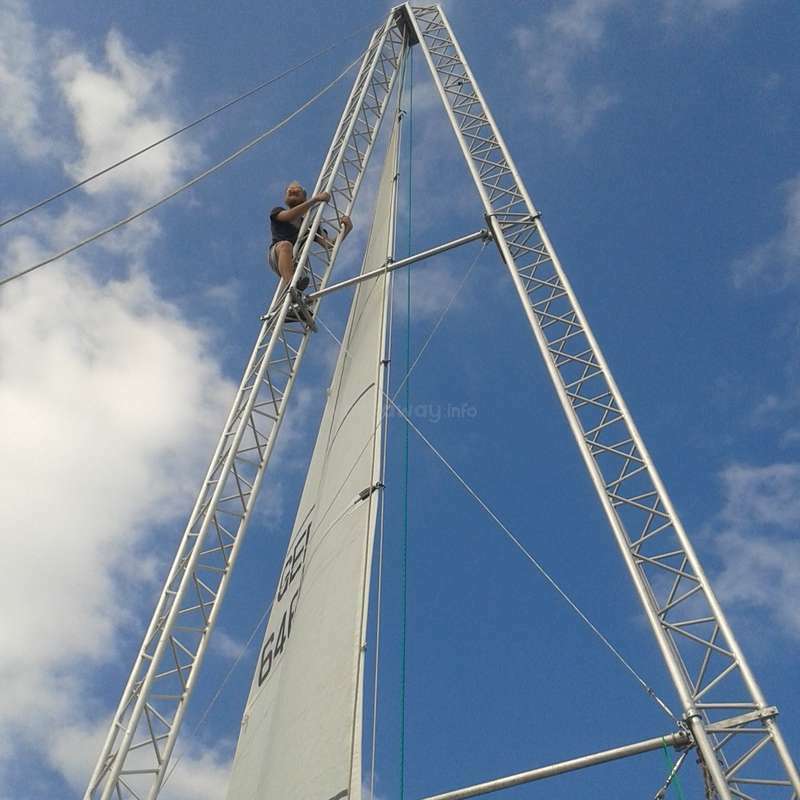 Planned for this summer are several painting and epoxy works, building new floor-boards, a new motor holder, finishing the tent, adding some more pieces of furniture and installing three port holes. So from time to time you will have to deal with a floating surrounding while looking forward to the next trip to bathing places with the boat that was built from 2 tons of boards, 200kg epoxy and the support of helpers throughout all details of the construction. The accommodation will be either in the house or in one of the four cabins on the boat. It depends on how many people are living in the house / on the boat when you come or if the boat is moving for some reason. If you are traveling with a friend or as a group it will be the best if you use the bigger rooms in the house. In the house we finished a first kitchen, a toilet and a bathroom with hot shower to make it a livable space. As we are working on the electricity network in the moment we installed a photo voltaic system and a power converter to have a socket for 220V to run power tools as well as 12V Sockets directly on the battery to charge lamps and to run a WiFi-Router. As the house ground floor + four stories + attic there are, even though the house was damaged through some years with a leaky roof, still a lot of rooms that are in good shape with old doors and wooden floor. Currently we are in the process of buying new windows. So we just repaired the old windows with transparent plastic material until we get the new ones. To have some proper beds and sofas we asked grandparents, friends and ebay to help out with furniture. That’s how we got a stylistic variable but clean and comfortable equipment to provide convenient accommodation. The boat mostly stays on anchor at the Rummelsburger See about 200 m from the pier and is accessible by a small zodiac that is usually locked to the pier. The four cabins are equipped with a 1.3x2m double bed, light and a 12V-socket to charge laptops or mobiles. The two front cabins are having an additional single bed in the tip. In each of the two hulls there is a toilet with a sink. The starboard hull contains a workshop & navigation room in the middle where in the port side hull the kitchen with sink, solar water pump and gas stove is installed. As the house is between the two stations of the Berlin city ring Ostkreuz and Frankfurter Allee it is very easy to find things to do during the free time. There are also some bikes that can used to explore the city without having to pay a public transportation ticket. As a comment from people living in Berlin: besides these lovely distractions offered by the German capital it also gets increasingly interesting to hang out with the people around and the friends visiting the house for a wine on the roof of a barbeque in the garden. How will travellers benefit from a cultural exchange and what could they learn? Travelers will meet a group of other helpers and friends that have been motivated to start the described project in the German capital. We like to actually do things and see how from our hand’s work a place gets better and better. What you could learn is already described in the section about the ongoing projects. Beside the volunteer work there are boat-parties together with all the other self-made boats and rafts on the Spree river, open-air parties in the parks and festivals around the city that becomes more and more a world capital for the spirit of life with little money but good ideas how to live. As the German songwriter Dota Kehr wrote about the world mainstream: “They are buying things that they don’t need, from money that they don’t have, to impress people that they don't like”. I feel like that Berlin is a city were luckily a lot of people realized that this is nonsense and that it is much more important how much you like the things that you are doing rather than which things you own. Now I am 32 and currently working on these contract stuff that comes up when you want buy things. I am still having this job that makes me work in Egypt from October till March. I am writing from Egypt now where I will continue my research work about capacity increase of overloaded water purification plants in developing countries. Loving the water topic I plan to start my own small business in the house for water treatment units for urban agriculture in facade greening. When I write “we”, it includes Dorothea, Carlotta and Christoph that are also living on the catamaran for the warmer 7 months of the year. And we means Ina, Christoph, Ruwen, Micha and Ralf that bought the house together with me. Oh ok, and who I am: My name is Carsten , 28, currently working on the six doors for the cabins / toilets. I studied bioengineering and environmental technology in Germany, France, Czech Republic and Marocco were I finished my Diploma about a project in Casablanca for wastewater purification and agricultural reuse in May 2011. In 2012 I found a job at the Technische Universität Berlin’ branch Campus-El Gouna in Egypt. During the winter semester I am giving lessons in water-engineering. Luckily my course runs in Berlin during the summer semester, so there is still time to work on the boat. Travelers will meet a group of other workawayers and friends that have been motivated to start the described project in the German capital. We like to actually do things and see how from our hand’s work a place gets better and better. What you could learn is already described in the section about the ongoing projects. Beside the work there are boat-parties together with all the other self-made boats and rafts on the Spree river, open-air parties in the parks and festivals around the city that becomes more and more a world capital for the spirit of life with little money but good ideas how to live. As the German songwriter Dota Kehr wrote about the world mainstream: “They are buying things that they don’t need, from money that they don’t have, to impress people that they don’t like”. I feel like that Berlin is a city were luckily a lot of people realized that this is nonsense and that it is much more important how much you like the things that you are doing rather than which things you own. About the work in the house: look at the pictures and imagine the rest. It is enough work for at least two years. Till now we have removed most of the rubbish and debris that we found in and around the house which was unused since the wall came down almost 30 years ago. We started to build the new infrastructure for water, electricity and heating to prepare the building for coming winter. Structurally the most has to be done in the fourth floor and the attic were we are removing the floors and ceilings that are broken from at least two decades of water dripping through the leaky roof. If everything works out as were planning we will finish windows and the heating in the lower stories before the winter so that it will be possible continue the work on the higher floors during the cold season while living in the house and accommodating helpers. We are already six friends that bought the house together with till know two people that started living in the house. So there will be always people coming around to hang out and work a bit. Cooking and shopping will be always involved as we are aiming of having 3-5 helpers at once to become the next workaway-community. Now I am 32 and currently working on these contract stuff that comes up when you want buy things. I am still having this job that makes me work in Egypt from October till March. I am writing from Egypt now where I will continue my research work about capacity increase of overloaded water purification plants in developing countries. Loving the water topic I plan to start my own small business in the house for water treatment units for urban agriculture in façade greening. 4-5 according the project there might be more days off and some with more work during the week. But the average shall be ~4-5 hours on 5 days per week. I have spent two great weeks in the house. The common areas of the house are quite nice (you have to think that is a building under construction) , even there is a billiard in the living room. There is a S-Bahn near the house, so there is no problem for visiting the city. About the work it could be a bit tough sometimes, but it's okey. The owners… read more are friendly and good people. I wish them good luck. If I come back to Berlin in another ocasion, I will visit the building to see the result of all the hard work :). I cannot express how thankful and happy I am to have stayed at the ruin with Carsten and friends. 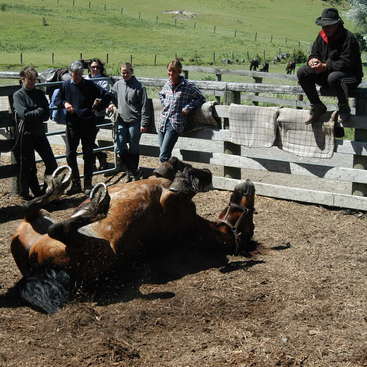 During my stay there was a great sense of community between the workawayers and the owners of the house. We all had great times working on the house and hanging out during the evening. The work is hard but rewarding as you feel you are really… read more contributing to the overall quality of the house. The owners of the house are incredibly hard working and I felt inspired by their passion and work ethic. There is also plenty of free time where you can explore Berlin as there are countless things to see in the city. If you are planning on coming to the ruin in Berlin be prepared for an amazing experience and to also work hard. Once again, thank you Carsten and friends! After we 'digested' the small initial shock about where we would be living for the next 10 days (the description wasn't as good and there were no pictures of the ruin, so we had not imagined it like that), we quickly got excited about this project. Carsten and his friends talk about it and get to work on it with such enthusiasm that it becomes… read more contagious. We didn't get to meet everybody because some of them were away at a festival, so most of the time it was Chris and us staying at the house. Our main task was to fill up the container they'd rented with rubble and to make the house more homely. Everyone we've met was friendly and easy-going. There's a strong sense of community and optimism. We have left with great memories and are curious to see further transformations. We will come again! Thank you to Carsten, Christoph, Cathrin, Chris and all the others. It was a blast! I would like to thank Lisa still as much as possible. Her stay was bringing the family spirit to the emerging house community. With her activity, motivation and good mood she helped setting up the basic infrastructures for living. As a good carpenter even brining her own set screw-bits she was quite helpflus and creative to get things done. She… read more will for sure also be enriching for every coming project with her friendly, positive mind and her way of concentrating on the really relevant things in live. You will always be welcome on the boat and in the house! Asier was helpful with a lot of creative ideas also for the culinary side of the work. Eager to improve his English he easily mastered his first workaway stay as a very sociable fellow being able to adapt to the community while adding good mood to the group and getting actual work done (Setting port holes on the boat, building kitchen… read more accessories, moving literally tons of bricks, building shelves). Thanks a lot Asier! I hope to see you again in the house! Guillaume was helpful with a lot of creative ideas. He got himself involved in a lot of ongoing projects and patiently managed to finish them. He easily mastered his first workaway stay as a very sociable and empathic fellow being able to adapt to the community while adding good mood to the group and getting actual work done (Setting port holes… read more on the boat, building kitchen accessories, moving literally tons of bricks, building shelves). Thanks a lot Guillaume! I hope to see you again in the house! Probably the most intense workaway experience I' ve ever had...I was to Carsten boat in Berlin only for a week but everything was so different than the normal life that for me was.....Fantastic!! Everything was soo good...from the breakfast in the morning watching the boat going up and down the river Spree to the night having dinners playing… read more music and watching the stars...everything on the boat!! The group of people there are amazing!! I was working in another Carsten project in a big old tipical Berlinen house and I can proudly say that I was the FIRST WORKAWAYER working there!!! I want to come another time to stay a bit more with Carsten and the other guys and girls!!! A big hug to Arne. It was great to live and work with you on the boat. Even though I had a lot of other work to do those days it was always great to see what you finished during the days. I also enjoied the engineering with you. Some of your thoughts have also been pushed in the reality now and will go with us on the sea next month. I can highly recommend Marcelo as a helper, carpenter, driver, metal worker, boat care taker and friend to hang out after the work is done. He brings the things that he starts to a good end with a careful eye on things that can brake or get lost. Marcelo, I wish good luck for your further journey and hope to see you one day on the Catamaran when it is sailing! Had good 3 weeks with Carsten and the crew at the boat,now located in Berlin. We could have some interesting engineering discussions and of course building the stuff we discussed. Cool wood and metal working! People aboard are very cool, we have some really good evenings together and being able to enjoy Berlin again was very good. Thanks for… read more the opportunity!! 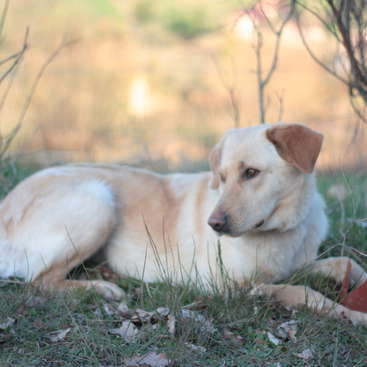 I wish you good luck with your hitchhiking plans & hope I will be around when you will come back to get your stuff! For future hosts: Ben works a… read more lot, does the things well and with the necessary endurance to get difficult steps done. He can use a lot of hand or power tools and had recently mastered a good course in using two components Epoxy-Resin plus additives. So give him some good work and you will be happy with the result! I am so thankful I had the opportunity to meet Carsten, his girlfriend, and a number of others during my stay at "the barn". The atmosphere was relaxed yet productive which can be attributed to Carsten's mentality and drive. Working on the boat was so satisfying since I could see the results of my labor. During my stay I learned a thing or… read more two about boat building and the various processes that are involved. I have already started to ponder on what project I should start when I arrive home again. Hey Ben sorry for the little delay in writing you a feedback and thank you very much for your help!! It was great working with you on the boat, discussing constructional details and complaining about why it was still -1°C in the beginning of april while working the first days in the barn. Luckily some 15°C+times followed soon. I hope your journey… read more is going on well and you are having a good time in france. For all coming hosts who might read that, I can highly recommend Ben as skilled, relaxed worker who will get things done with good quality in a reasonable time. Ask him to do some wood work and give him the tools for it and things appear. I can now also proof his skills in using boatbuilding materials like two component Epoxy-Resin and two component Poly-Urethane-UV-protection. So host him, it will be definitely something you will be happy about! Good luck Ben & hopefully see you one day on the boat! 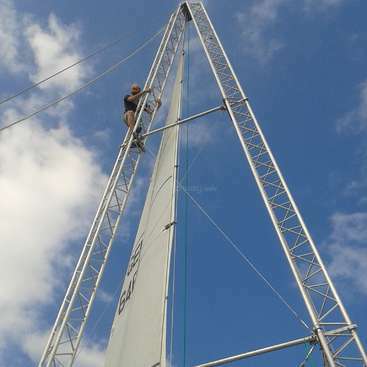 I had stayed with Carsten at the barn from 3/29-4/21/2013 working on putting the final touches in preparing the catamaran for it's maiden voyage in August. Carsten was a fantastic host and was hugely accomodating in terms of making sure his guests were comfortable at the barn. 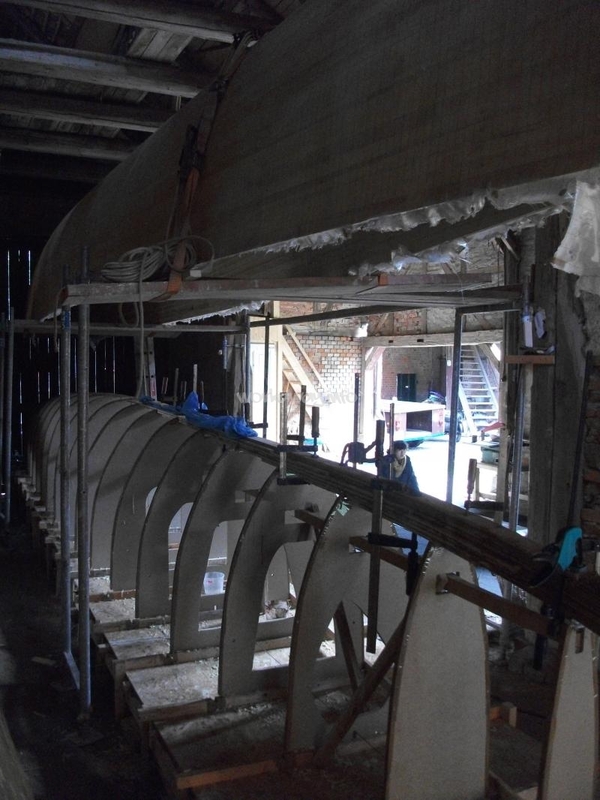 The work was meaningful and largely self directed in adding… read more reinforcing members to the hulls interior and dryrunning the boats construction to make sure that it's final assembly in Italy goes smoothly. Additionally, Carsten's family was extremely welcoming and on several occasions would have the workawayers over for a homecooked dinner or would come by to bring hot tea for deserved breaktimes from working on the boat, as well as helping to teach/practice the German language and develop talents for wrestling large fish in buckets. I couldn't have asked for a more positive experience in my first workaway and would welcome the opportunity to work with Carsten on the boat in the future. For whom it may concern...;) I can highly recommend Sandra and Thomas as workawayers! 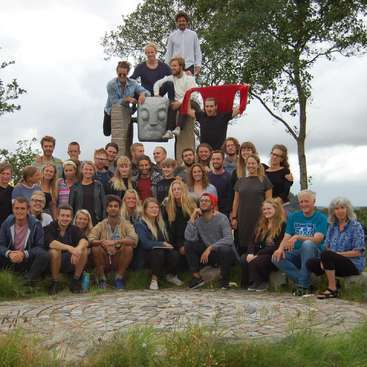 For some weeks we formed a wonderful community in the barn together with a hand full of workawayers. We cooked, played, explored, learned languages, celebrated and worked together and I always enjoyed their presence. Even though the epoxy-gluing… read more and covering works are not the simplest and not the cleanest they managed to get them done well and to stay laughing during the nightshifts at the weekends, when we were working together. With their intention to build a boat they were always curious and learned fast what was important for the respective tasks. Now I can recommend them as experienced woodworkers knowing how to achieve good results in combination with synthetic resins, fiber glass, filler media and varnishes. They both made a name for themselves as “dances with the angle grinders” and were able to use all the other required machinery to build a boat. Wish you a nice time on your next workaway-stations. Hopefully you find some warm possibilities for the winter. Good luck and bon courage for your boat project! Workawaying with Carsten was a wonderful experience for a pair of first-time workawayers! He is definitely one of the nicest and most energetic people we've ever met! Working with the boat was really fun to do and we may have even gotten a little addicted to it (now we've gotten it into our heads to build our own boat). Living with the other… read more workawayers couldn't have been better (mice hunting and all night poker games included) and the little adventures we embarked on together like bow and arrow shooting or canoing just topped off a wonderful stay. We would really like to get back there someday and help finish it! We wish him godspeed with the completion of the cat and hope he doesn't run out of workawayers to help him. He surely knows how to motivate his crew, going forward as an example with his own passion. He will be as good a captain as he is a boatbuilder. The time I have spent with Carsten has been a wonderful experience, and I now consider him to be a good friend. The work is great because you can see the progress day by day as the boat comes together, and it is awesome to work on a project that the host cares about so much. Carsten is almost always working along side us, and… read more the workers bond together into a team of friends and cooperate toward the common goal of completing the boat. After the work is done, every day is fun and exciting, and often you get to meet interesting people through Carsten's friends and family. There is much to see and do in your free time. I hope to return for a visit in future, and sale on the completed catamaran. as the smileys are saying. Although these are for sure not the funniest works while building a boat he went quiqly over… read more them while motivating the team of three other workawayers and me. All together I can highly recommend him as a honest workawayer and canadian story-teller. He laughs loud and works hard!